I am a stay-at -home mom of seven. Their ages are 25, 23, 20, 19, 17, 15, 13 — five boys and two girls. I homeschool the youngest two. My oldest graduated from nursing school and has flown the nest. The second graduated from UAH with a degree in Computer Engineering, flew the coop shortly before his marriage (still waiting on grandkids). Child three is in his junior year at UAH, working toward a degree in Mechanical Engineering. Child four is in her second year of ministry school (The Rock Master’s Commission). Child five is starting her college journey at our local community college. Along with their father, they are my full-time job. Even for those who’ve moved from my nest, I will always be their mom. That never changes. My love for them never fades . My family and I live in northern Alabama on a seven-acre mini farm. At one time we had 30+ chickens, two horses, three dogs, and a cat. During the summer months, we typically raise a steer for meat. Sadly (well except for the chickens, I was ready to see them go), we are now down to one dog and one cat. I have several passions, besides my family–reading, writing, needlework (crochet at the moment, but I can knit and do cross-stitch as well). I also like to garden. 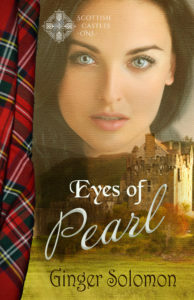 I am the president of our local writer’s group, and blog here and Inspy Romance. 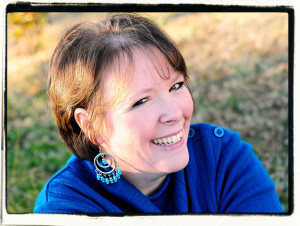 I’m a member of ACFW (American Christian Fiction Writers). I have several works in various stages of completion and a plethora of ideas. To find out more about my books, click here. I pray you are blessed by what you read here. Now may the God of peace–who brought up from the dead our Lord Jesus, the great Shepherd of the sheep and ratified an eternal covenant with his blood–may he equip you with all you need for doing his will. May He produce in you, through the power of Jesus Christ, every good thing that is pleasing to him. All glory to Him forever and ever! Amen.